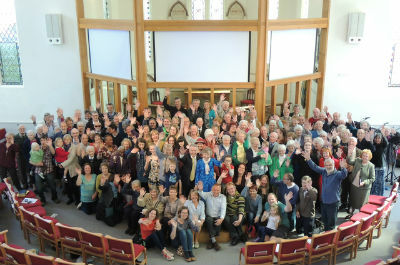 All Saints' is a family-friendly multi-generational evangelical Anglican church in the heart of Sidmouth. We exist to see lives transformed by Christ. Please click here to visit our web site. We have two main morning services with different approaches but the same preacher. At 9:30am the style is more contemporary and this is when the children and young people's groups meet. At 11:15 am the style is more traditional but nevertheless just as full of life. During August and on other occasions throughout the year, the 9:30 am service is an All-age Service when all the young people are included in the service rather than having separate classes.